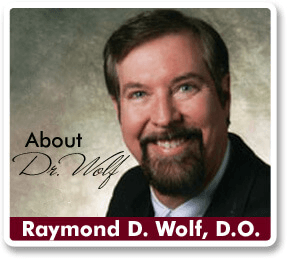 A facelift is an elective cosmetic procedure performed by Dayton cosmetic surgeon Dr. Raymond Wolf to tighten the skin and underlying facial structure (muscle & tissues) for a more youthful appearance. Rather than a pulled appearance, a beautiful face lift shows a youthful contour, with 10-15 years removed from the patient’s appearance! Watch Dr. Wolf Discussing Facelift Surgery On Living Dayton! What is Fixed in a Facelift? A facelift addresses the mid-face and neck. Essentially, the cheek area is lifted so that jowling in the jawline is reduced, and the neck is lifted to eliminate turkey neck or sagging neck tissue and skin. A facelift does not treat the eye area. For that, a blepharoplasty, or eyelid lift, is needed. For patients with deep wrinkling and/or sagging of the brow, a browlift may also be required. The truth is, regardless of technique used, a facelift can reverse aging only to a certain degree. Therefore, those who start earlier, rather than later, will have the initial facelift performed before aging has the chance to collapse the facial muscles and stretch the skin. So, when patients ask me why anyone would have a facelift in their 50s, that’s my response. The earlier you start, the better you’ll look over time, just as with BOTOX ® and dermal fillers. Yes, you’ll need a facelift revision about every 10 years, but having adequate correction in the 40’s or 50’s prevents some of the facial aging in those who wait to have a facelift in their 60’s. The best candidates for a facelift in my Dayton, Ohio practice are healthy men and women who are concerned about aging in the face and neck and who have realistic expectations. Realistic expectations are that I can remove 10-15 years from a patient’s appearance. No facelift surgery can make a 60-year-old patient look 20 again. As mentioned above, the younger the facelift patient, the better the skin quality in terms of texture, wrinkling, sagging, and pigmentation problems. A facelift addresses the underlying structures of the face. It does not address skin quality. I advise all of my Dayton facelift patients to undergo skin rejuvenation as soon as possible prior to a facelift so that the skin is in good condition. This can only enhance the facelift results. Both men and women from Dayton love the results of a MACS facelift, called a “short scar facelift” in some practices. The acronym, MACS, stands for Minimal Access Cranial Suspension. Incisions are short, and facial sagging is remedied by elevating the musculature vertically. This leads to a much more youthful appearance than lifting the muscles horizontally, which creates a “windswept” look. There is one scar, a short scar in front of the ear, rather than an additional scar behind the ear. Less skin is raised, so there is less risk of nerve damage and less bleeding. The surgery is shorter by about an hour in most patients. The results are more youthful. After adequate anesthesia has been given, a small incision is made in front of the ear within the hairline. The skin is separated from the muscle and fat and the muscles are tightened with permanent sutures, after which the skin is gently redraped. Most of my Dayton face lift patients are surprised at the lack of discomfort following their procedure. Of course, there is some discomfort, bruising and swelling in the first few days but this is usually controlled with over-the-counter pain relievers. Many people find that sleeping in a recliner the first few nights following a facelift keeps the swelling at a minimum and occasionally applying an ice pack also helps. The average time from work and social activities is approximately 7 days.